Last year December, we went back to Nepal for Christmas break. 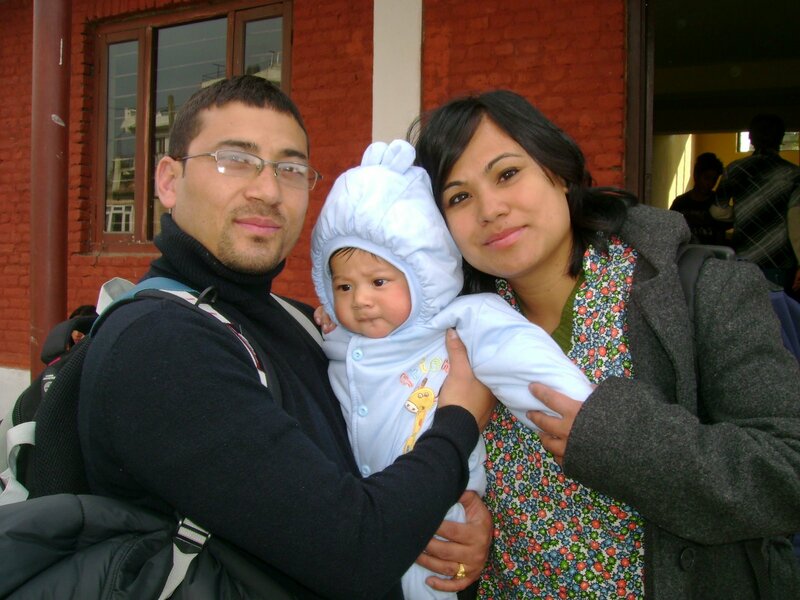 Our primary purpose was to dedicate Pratya in our local church and introduce him to the family over there. It was a month stay; however, our staying became a real bummer. 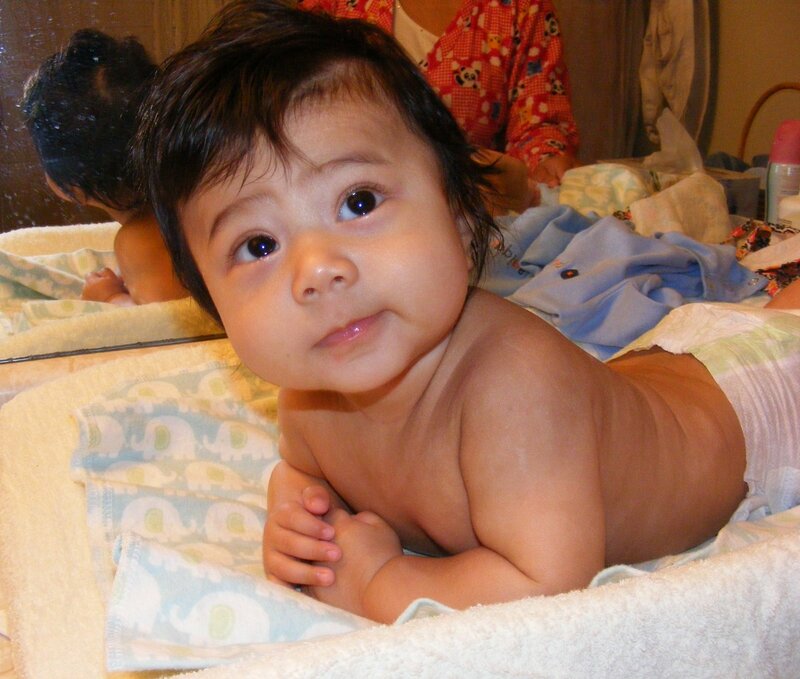 Pratya got sick and developed eczema all over his body which got us circle three hospitals in a month. Prasha had me admit her to the emergency ward due to food poison. Oh my gosh, it was so stressful. I wished I could bring them back soon. In the midst of mental, emotional, and physical pain and suffering, we had no electricity for 12 hours every day. We felt as if we were isolated from the rest of the world! Nonetheless, we had very blessed time with our family, relatives, and friends. Having arrived here in Grand Rapids, Michigan, Pratya’s eczema disappeared and his skin once again turned smooth and lofty. 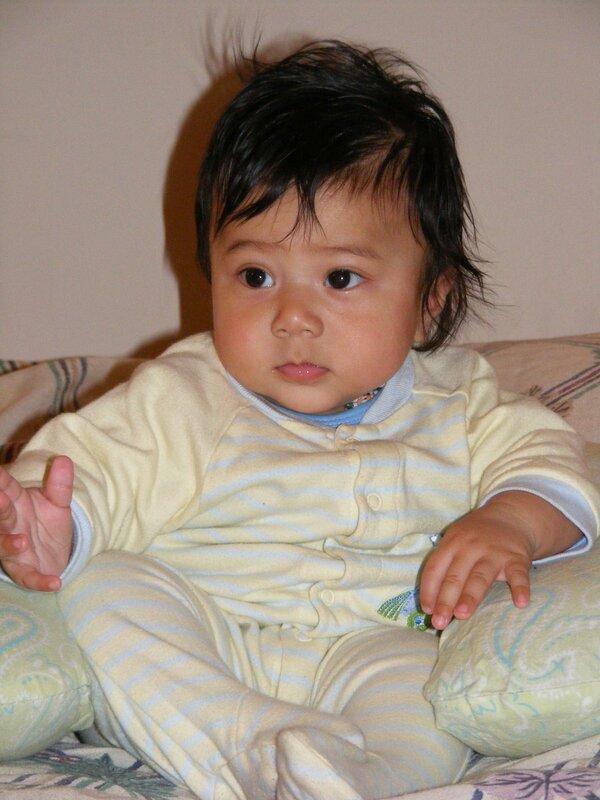 Now, he is 4 months and 1 week old. He can do his little push-up little longer than before. Most interestingly, he is trying to communicate through babbling which ends in spitting up. He is just so funny that our days fly quickly.